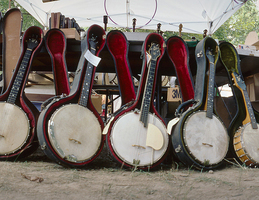 e-WV: The West Virginia Encyclopedia is a valuable reference resource. With 2,300 articles and thousands of photos, maps, and other illustrations, e-WV has the answers to nearly any question about the Mountain State. 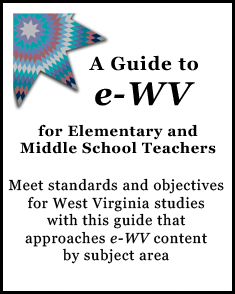 This e-WV Classroom section offers a selection of lesson plans designed by West Virginia teachers on a variety of topics. e-WV Classroom also directs students to useful articles and interactive quizzes. 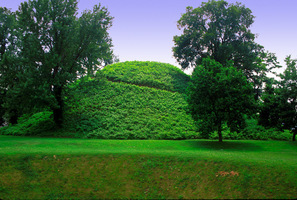 The Grave Creek Mound at Moundsville is a product of this prehistoric culture. 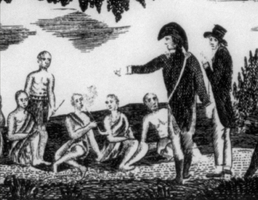 e-WV: The West Virginia Encyclopedia offers a selection of lesson plans designed by West Virginia teachers on a variety of topics. Plans are available for eighth grade and elementary students and make use of the resources found in e-WV. Try our featured lesson plans below, or click here to view the full selection of plans. Do you have questions or comments about the West Virginia Classoom? Please email Mike Keller at keller@wvhumanities.org. 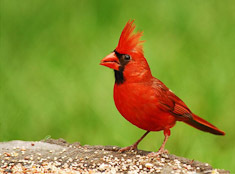 What is the official West Virginia state bird?